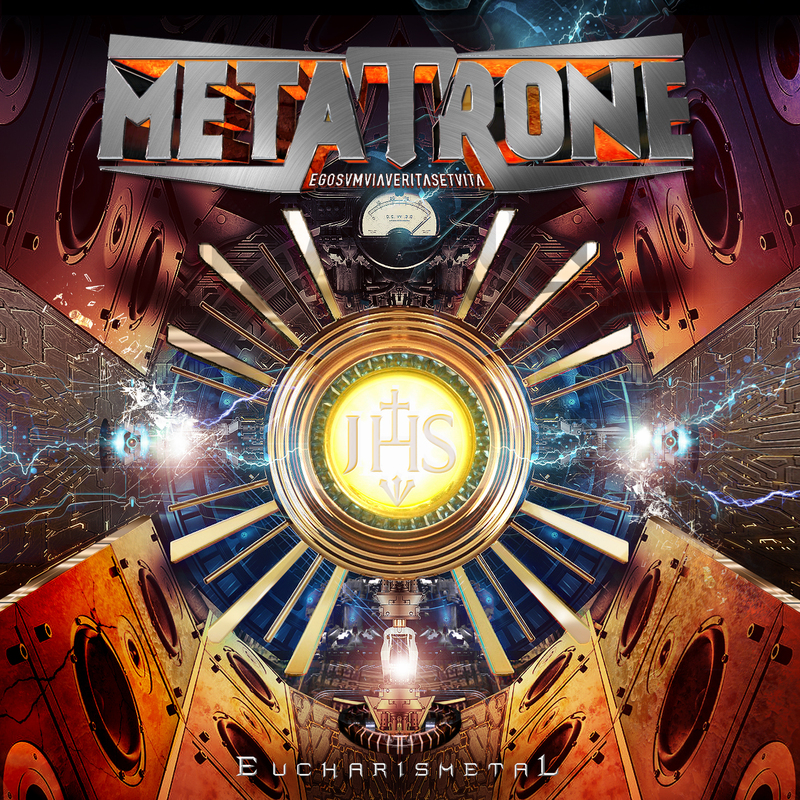 Metatrone is a Christian power-prog metal band formed by musicians coming from many previous musical experiences, mostly involved in metal music. Davide Bruno, Jo Lombardo, Tony Zappa, Virgilio Ragazzi and Stefano “Ghigas” Calvagno whom formed the band in 1997 under the moniker of Metafora producing with Track Records Productions (TRP) a four track EP called “Reazioni e Memorie”, featuring some amazing anthems like “Una Parte di Me”. As many things in life changes, it was four years later (2001) that one of the founding members, keyboardist Davide Bruno decided to begin a new spiritual journey bringing him to change completely his life becoming a Priest. After this important decision, another one will be essential: Metafora decided to change their moniker to METATRONE from that moment on. The new band’s name means “God is since now and forever”, consequently the band begins to write power-prog metal songs deeply inspired by a Christian Catholic view of life and human being. It was in 2005 when they produced with the help of TRP music their first album called “La Mano Potente” soon followed by the English version called “The Powerful Hand” distributed by Scarlet Records in Europe and King Records in Asia. After its release, the band begun to play often live in Italy and around the world as well, playing at festivals like Elements of Rock twice, Tumbalong Park and World Youth Day in Australia just to name a few. Following the extensive touring, the band began right away to create new material, which brought them to a new and higher musical and lyrical level. Their songs evolved with more influence from prog but powerful at the same time. Most of those songs were released on their third studio album, “Paradigma”. A stunning 13 track album produced by the band and TRP Music, it was officially released on December 25, 2010. The album featured songs sang in English, Italian, Latin and Spanish with some interesting growling vocal choruses performed by priest Davide Bruno himself and was praised with very positive reviews on some of the most popular metal magazines like Metal Hammer Italy, Metal Maniac and many other on-line publications. In May 2012, METATRONE released their first video, “In Spe Resurrectionis” from “Paradigma” (winning the David Award as Best Italian Song at the V Premios David). In June 2013, the band released a single track called “Heavenly Field” written against the Zionist policy supporting Gaza population at the time featuring Italian hip hop band One Crew as special guest on vocals.